It’s no coincidence that Mother’s Day always falls on a Sunday. After all, Sunday is the perfect day to either plan a decadent spread or head out to your favorite brunch location. If you plan on doing the former this year, homemade mimosas should always be a staple on your brunch menu. We’re all for a classic orange juice and champagne combination, but when it comes to treating mom, this year we’re pulling out all the stops! 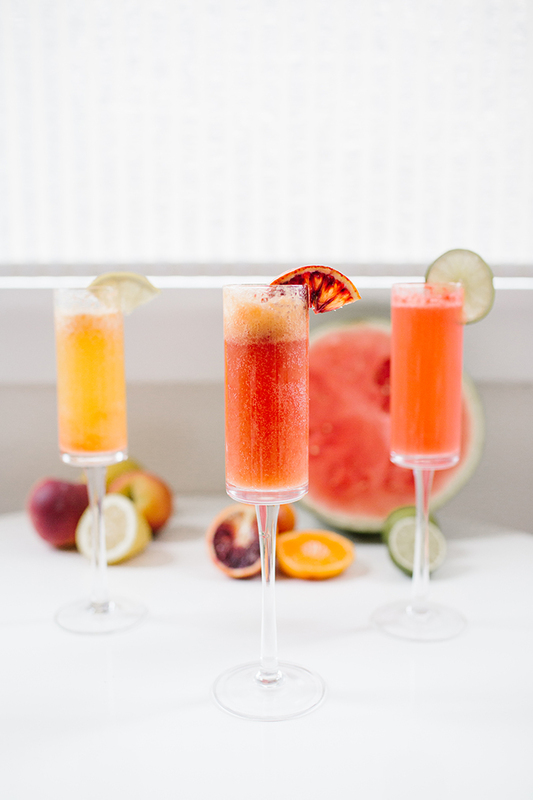 Why not create a build-your-own mimosa bar to allow your guests and mama of honor to mix up a sweet sip all their own, starting with these next three recipes that we have up our sleeves. 1. Place the watermelon, lime juice, and sugar into the bowl of a food processor and process until smooth. 2. Drain the mixture through a strainer to make the purée extra smooth and discard remaining solids. 3. Place the purée into the refrigerator until chilled. 4. 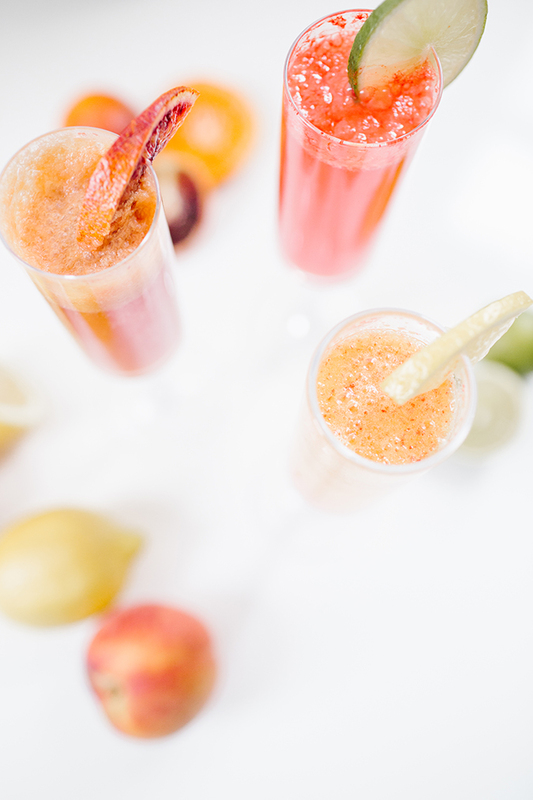 Pour about 2 tablespoons of purée into a champagne flute, followed by sparkling rosé. 5. 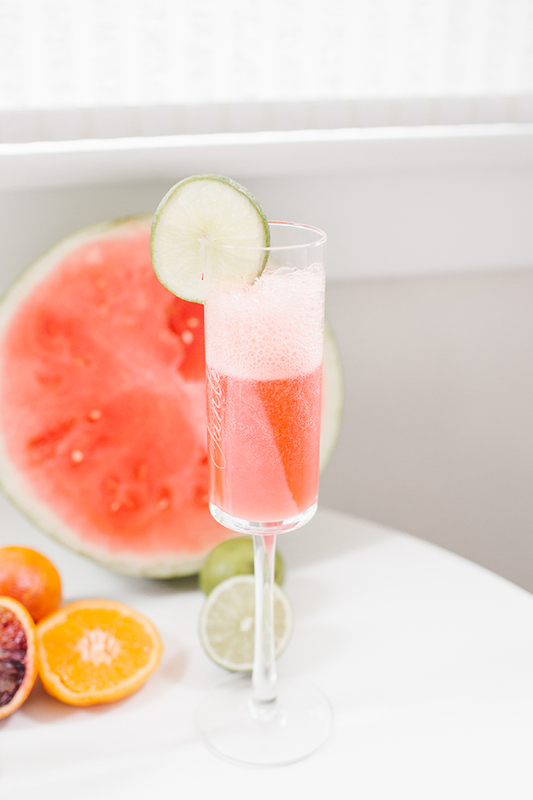 Garnish with a lime wedge or slice of watermelon and enjoy! 1. Place the peaches, lemon juice, and sugar in the bowl of a food processor and process until smooth. 4. 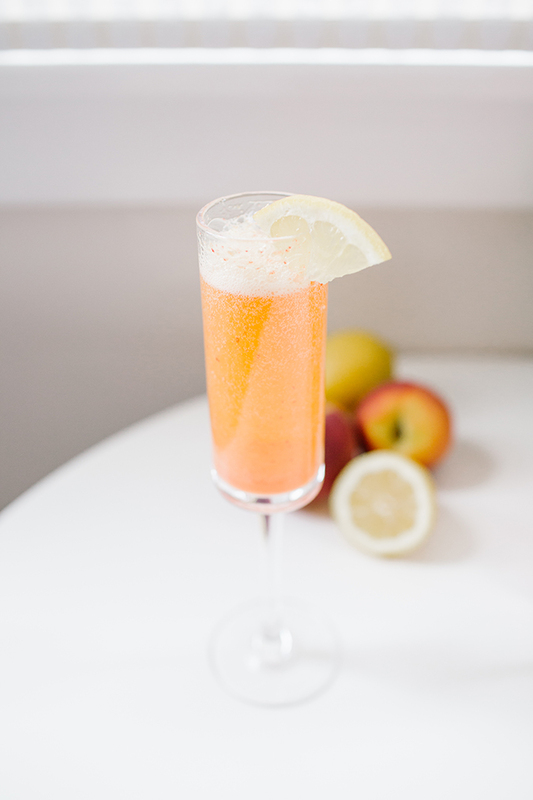 Pour about 2 tablespoons of the peach purée into a champagne flute, followed by chilled prosecco. 5. Garnish with a lemon slice and enjoy! 1. Peel the mandarin and blood oranges. 2. Place the mandarins, blood oranges, and lemon juice into the bowl of a food processor and process until smooth. 3. Drain the mixture through a strainer to make the purée extra smooth and discard remaining solids. 4. Place the purée into the refrigerator until chilled. 5. Pour about 2 tablespoons of the orange purée into a champagne flute, followed by chilled champagne. 6. 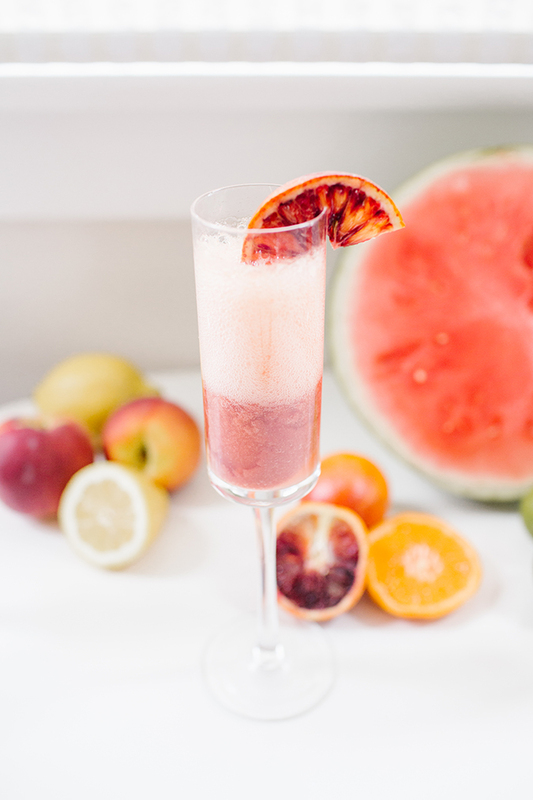 Garnish with a blood orange slice and enjoy! 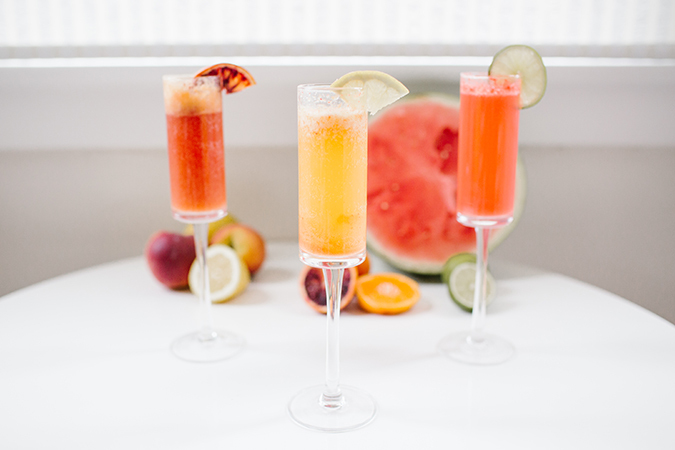 You can bet we’ll be toasting with these delicious mimosas on Mother’s Day! 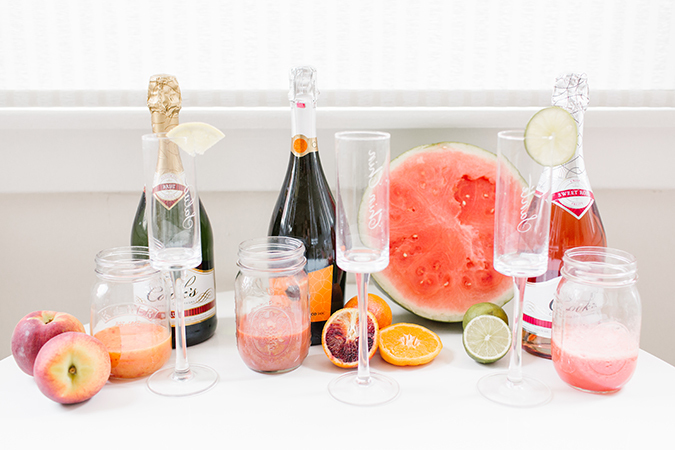 Will you be recreating any of these mimosa recipes? Let us know your favorite flavors in the comments!